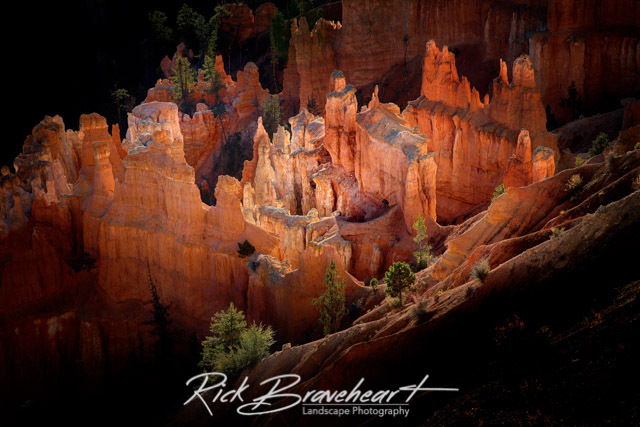 The Bryce Amphitheater is one of the most visually stunning and popular locations at Bryce Canyon National Park. Over millions of years, softer sections in the rock have eroded away while the harder areas remained and been sculpted by wind and water into intriguing shapes. This photo was made just moments after the sun emerged over the horizon and briefly illuminated the inside of the amphitheater.